Since rice has been the main stable food in Chinese diet for over 5000 years, I think it is an unavoidable topic, :)) especially, given that a few friends have asked me many times how to make boiled rice - without a rice cooker. Rice production in China is massive, well, you can imagine given the large population. White rice used to be considered as a ‘luxury’ product, as many poorer people (or most Chinese people in poorer times in the past) struggled to have it. Thirty years ago, one of the future plans of the Chinese government was to ensure that everyone in China would be able to afford white rice on a daily basis — It seems that these goals have been fulfilled. And not only that; surprisingly, nowadays, people are trying to increase the amount ‘Culiang’ (which refers to millet, mung beans, corn, and so on) in their diet, because these are considered healthier than white rice. Different parts of China grow different types of rice. Northeast is considered to have the best soil to grow rice, thus Northeast rice is one of the best in China. In the past, rice was distributed regionally, rather than nationally. During those times, my parents used to give away packs of Northeast rice as gift to their friends living in other regions. The grain of Northeast rice is short, but fuller, very good for boiling, and after boiling, the rice tends to be sticky, has great fragrance. But since the exports stopped, we started buying Japanese rice instead. 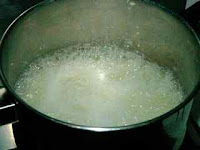 If you saw Northeast Chinese rice on the market, look for well packed ones to buy, otherwise it might be different type. I like Sichuan rice as well. It can be white or black/purple. Its grain is long and slender, has strong fragrance when just open the lid of sauce pan, and it is dry, non-sticky, very easy to ‘separate’ after cooking, a little bit like basmati rice. Oh, if you like, you can try to mix a handful dark purple rice with Northeast rice — a new experience. The most famous stir fried rice in China is probably Yangzhou fried rice from mid south of China. 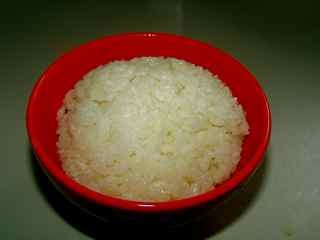 In North, other than boiled white rice, it is also popular to mix it with other different grains, for example, mix with millet, or mung beans… etc. — much healthier than just white rice along. Traditionally, rice has always been served in a rice bowl on the table, never placed on a flat plate, or mixed with dishes together. 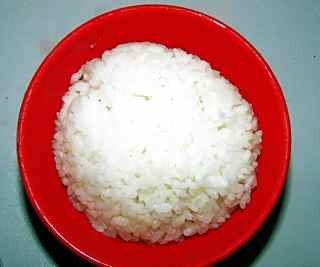 In my ethnic group, when we have honored guests, the rice in the bowl needs to be presented nicely — use a smaller bowl to put the rice in first, then transfer to another normal rice bowl, this way, you can get a very nice round shape of rice on the top, like a ball. I still keep this habit to serve our guests at home. Ok, now, talking about boiling rice — when friends asked this, I have to admit that my heart bumped a little bit — I have always used a rice cooker. 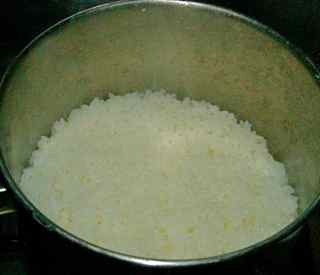 I am so grateful for whoever invented rice cooker. As far as I can remember, my parents have always used rice cooker. 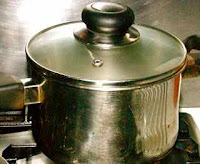 Long time ago, long before the time of all these fancy rice cookers, my dad even improved the basic rice cooker to meet his needs, for example, he made a timer connect to the rice cooker, so he would prepare the rice in the evening before going to bed, and in the morning, when get up, rice was just freshly made, ready for serving. You need a deep sauce pan with lid, and it is better if there a little ‘hole’ on the lid for the air coming out. 2) Pour in water until it cover the rice by around less than 2cm. 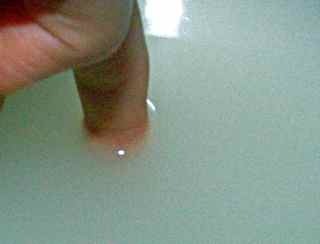 The best way,(well, apparently a common way in the East), is to put your index finger into the water, make sure your finger tip touch the surface of the rice, and your first joint line level with the water — this way, your rice will just absorb enough water, and still moisture. 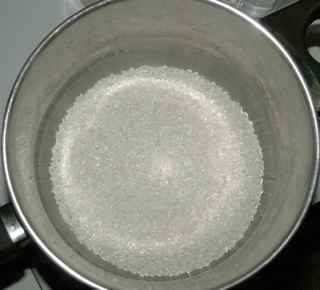 3) Turn on the fire to medium, cover the lid. 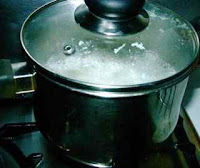 4) When the water is full boiling (it is normally very quick), turn down the fire to very low. (Be careful the water might spill out the sauce pan). 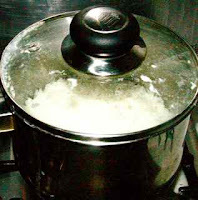 5) Until the rice absorbs all the water, but not totally dry yet, turn off the fire, and keep the lids covered for further 3-5 minutes, let the rice rests well before serving.